This under cabinet LED light kit includes everything you need to brighten your kitchen. The 7 inch lights provided in this kit fit nearly every cabinet design. 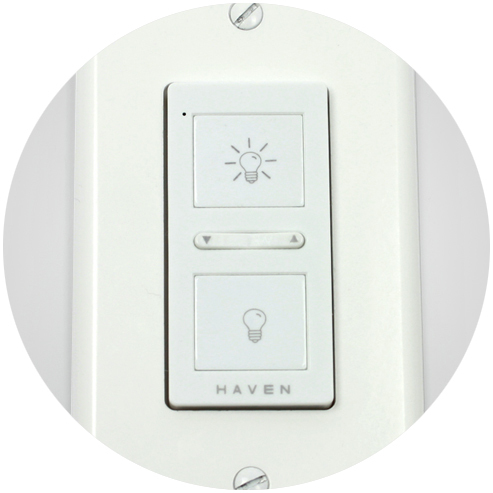 The wireless wall switch makes installation fast and easy. These lights provide a soft natural glow. The reflection on any surface is a solid light - not the spotty reflection of the individual LEDs on most LED under cabinet lights. This dimmable low profile light is designed to eliminate the individual LED reflection on the counter top. It comes in two white temperature color options 2700K or 3000K. 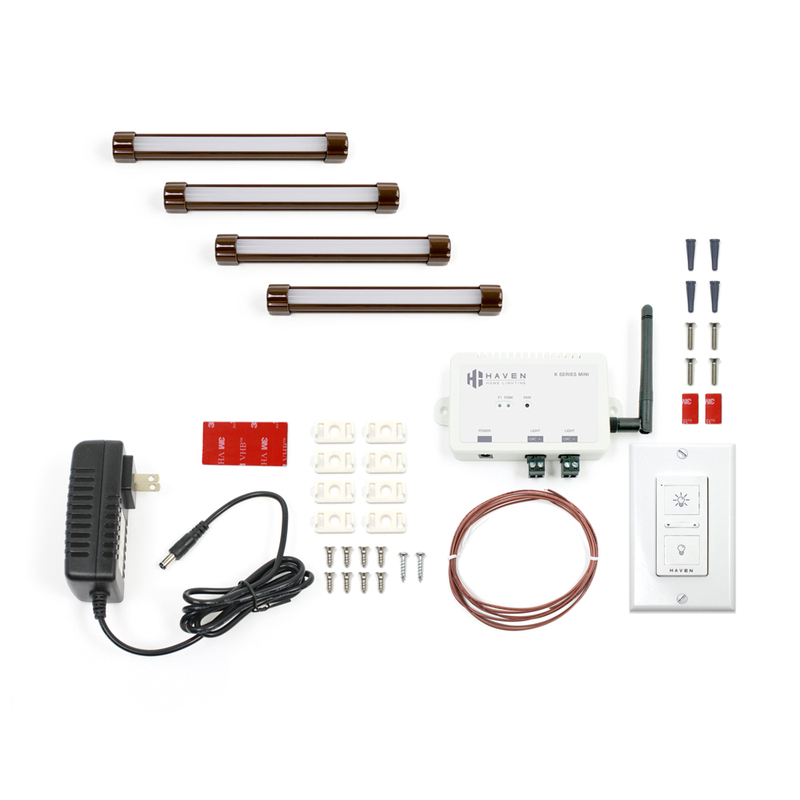 The lights can be connected together in series for easy installation.